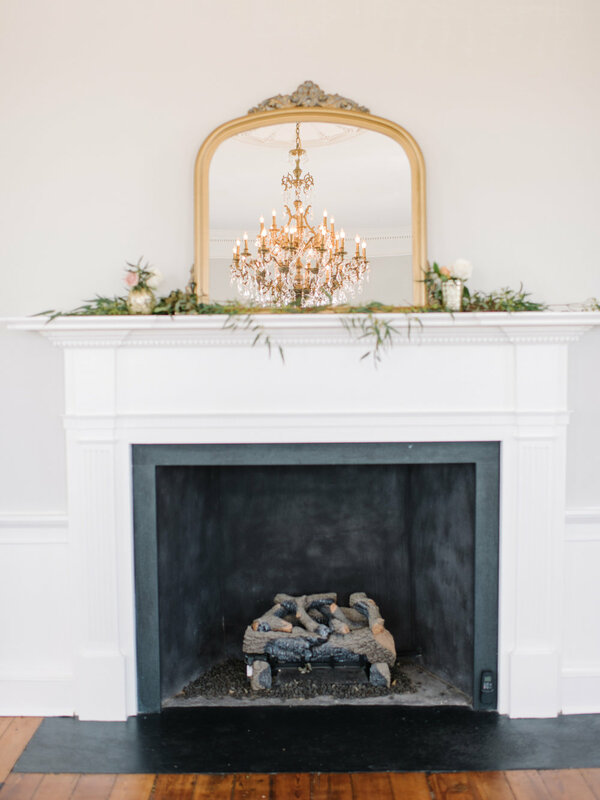 There's a reason that downtown Charleston weddings are so sought after: they're just so pretty! 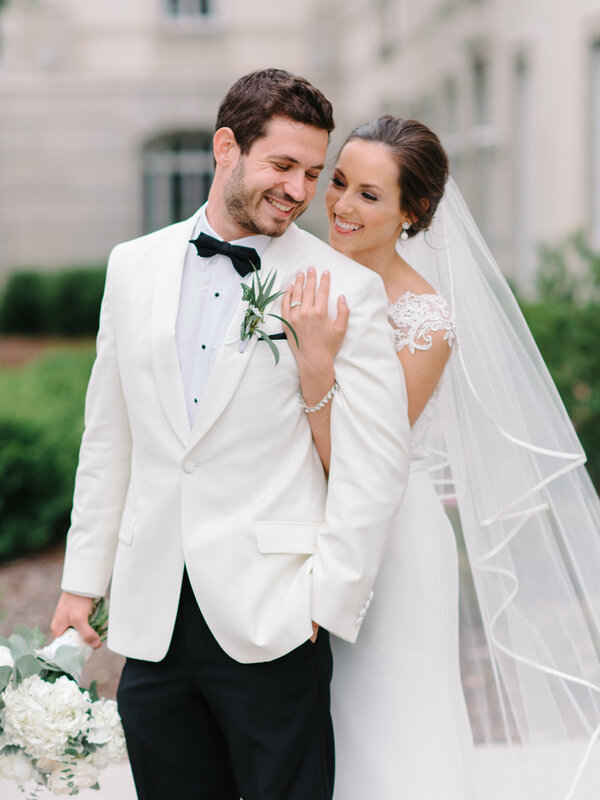 When it came time to tie the knot for Leslie and Drew, these two South Carolina natives knew that Drew's hometown was the perfect place for their nuptials. 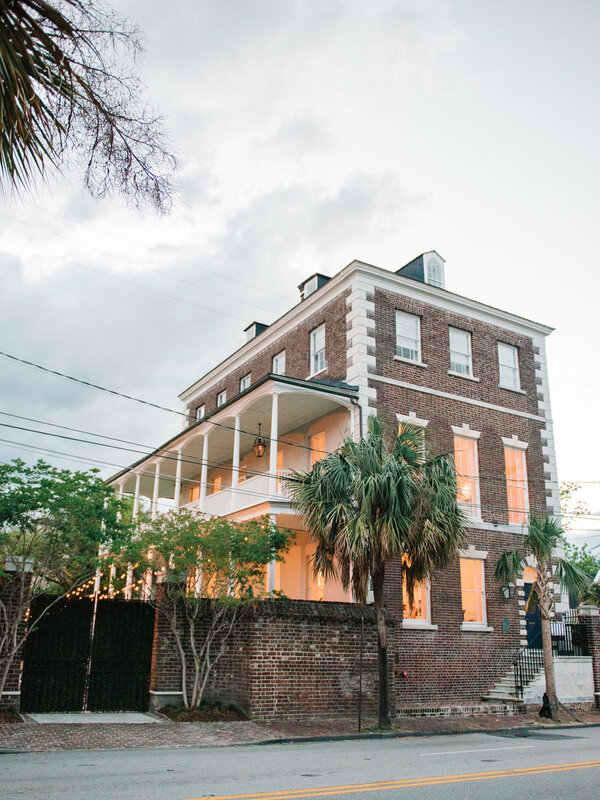 The Gadsden House on the historic peninsula's East Bay Street had the downtown charm the couple wanted and a location that made their guests eager to book a weekend in town. 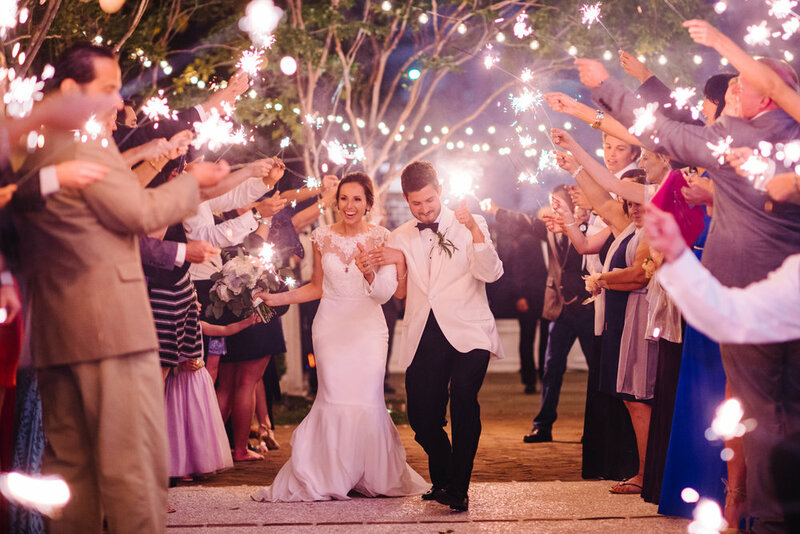 Along with the rest of the couple's selected vendor team, photographer Pasha Belman worked to create the evening of Leslie and Drew's dreams. The attention to detail paid off with an event that looks like a modern day fairytale. During Leslie's junior year at Clemson, her sister Allison decided to play matchmaker at a football game. Allison and her boyfriend Keaton had invited Keaton's childhood friend to the game (spoiler alert: it was Drew!) to see if he and Leslie would hit it off. Drew and Leslie were immediately inseparable and spent the Clemson-Citadel game talking and getting to know one another. 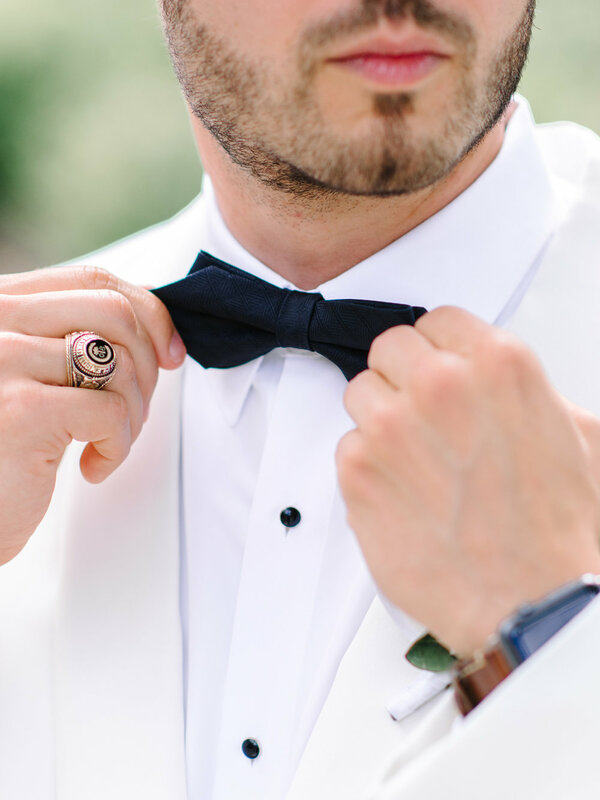 That first perfect day turned into night as the football game finished and the group headed to the Esso Club, where Drew and Leslie danced the night away. From that moment, the two began to make plans together, and soon, they were spending every moment they had together. "From seeing Lion King on Broadway, drinking wine through the vineyards of Tuscany in Italy, and seeing Clemson win the National Championship game in January of 2017, we've only begun their journey together," the couple gushes. On their trip to Italy, Drew decided to make forever official with Leslie and asked her to marry him. She said yes, and they were off to plan the celebration of their dreams. 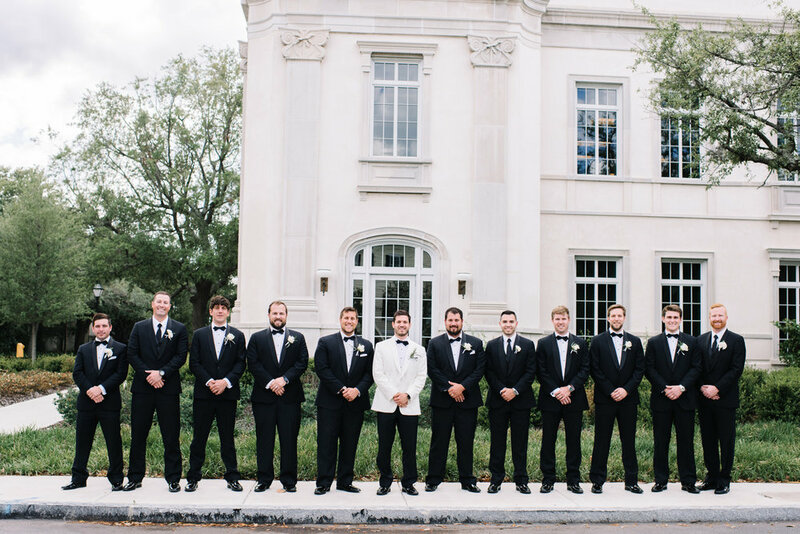 In a sweet turn of events, Leslie and Drew's matchmakers, Allison and Keaton, also got married, so now longtime friends Drew and Keaton are brothers-in-law! 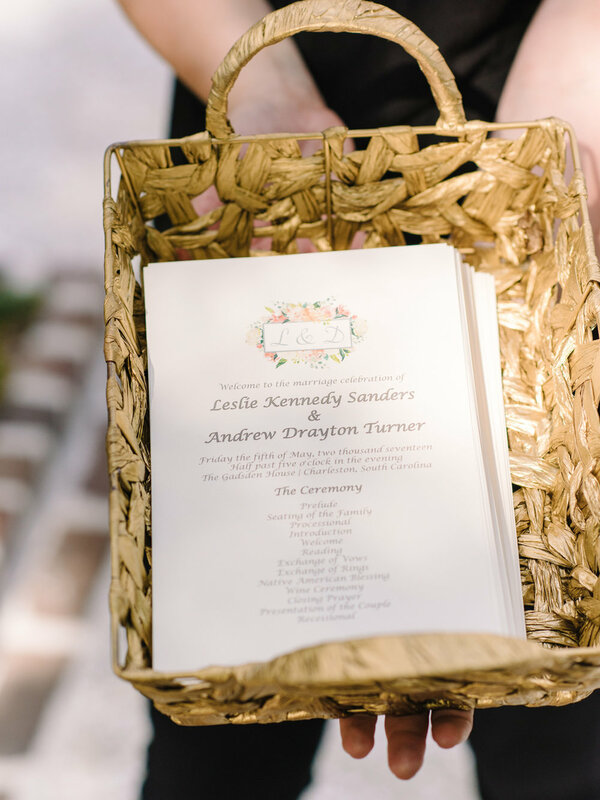 Since Drew is from Charleston, it made sense for the couple to get married there. But, their decision to exchange vows in the Holy City was also linked to deeper ties that the couple has with the area. When Leslie's dad was fighting heart disease, she and her family made the trip from Myrtle Beach to Charleston many times to seek treatment for her father. It was during these trips that Leslie got to know Charleston. After her father passed away in 2013, she was heartbroken and avoided the city until she met Drew. "He brought me back to Charleston to develop good memories!" she recalls. Since then, the couple has discovered that Charleston is one of their favorite places to experience together. 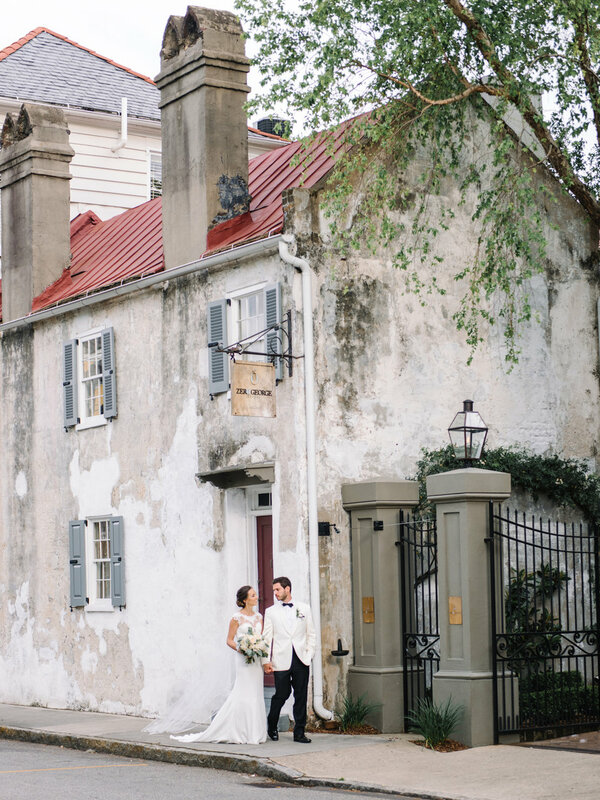 "Charleston has had a positive impact on [our] relationship since we've met from the boat rides in the harbor, romantic dinners at Macintosh, and finally, becoming newlyweds at The Gadsden House!" they state.